The second largest city in Michigan is Grand Rapids-a city known for its many churches, its friendly people, and its ethnic neighborhoods. In spite of its size, it still has a small town atmosphere. Grand Rapids was/is home to some very talented musicians and independent record companies, such as Fenton, Great Lakes, and Midwestern. 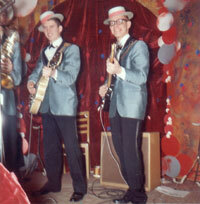 One of the best bands to hail from this fine city was The Kingtones. 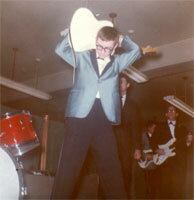 In September, 1957, a group of young 13-and 14-year-old boys started a band. Besides being a lot of fun, they figured it would be a great way to impress girls. Credit for starting the band goes to Gil King, who played cornet. Other members of the fledgling group included Bruce Snoap on piano and vocals; Jerry Gephart, piano; Pete Mervenne, lead vocals; Jim Haaksma, Jim Corsen, and Bob Major, sax; Tom Veenstra, trumpet; and Bob Green, drums. In the early days, the band played for anyone that would have them. That included private parties and YMCA dances. Their rendition of "Rock Around the Clock" knocked the socks off the kids and always got them on the dance floor. In 1958, Duane Eddy's "Rebel Rouser," so impressed Gil King, he traded his cornet for a guitar. 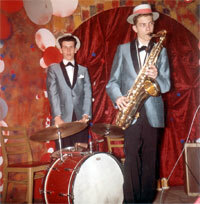 The horn section was soon dropped from the band, with the exception of Bob Major on sax. Chuck Snoap (Bruce's brother) joined the band as their new bass player. Bob Green continued on drums, Bruce on keyboards, and another new member, Mike Franz alternated on keyboards. 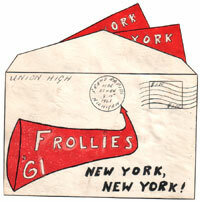 They continued playing gratis for YMCA and PTA dances and other Oakleigh Junior High School events. 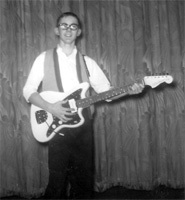 Chuck Snoap left the group in 1959 and was replaced by Phil Roberts, who had played for another local band, the Rocking Revels. When Phil came to audition for the guys, they knew this "nerdy" kid from East Grand Rapids would add something special to their band. Roberts and King alternated on guitar and bass at that point. 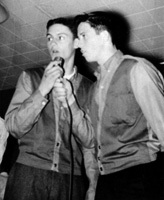 Bob Green also left the group in 1959 and was replaced by Mike King (Gil's cousin). 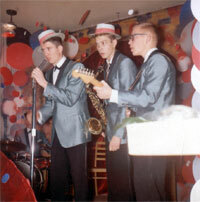 The group began getting paid for gigs in 1959. They received $21 and a free meal for a PTA dance; they were thrilled to be paid for playing music. 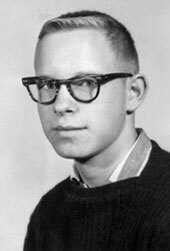 By 1960 the boys were going to Union High School, with the exception of Phil Roberts, who attended East Grand Rapids High School, and Mike King, who attended Creston High.